Travel the world and gain professional skills that will take you places. Learn to manage a fine arts program on board cruise ships. We are looking for ambitious candidates to begin their training as an Art Associate or Art Preparator. The joy of collecting fine art starts with our Art Teams. By building onboard relationships, sharing their art knowledge, and hosting art events, our Principal Auctioneers, Gallery Directors, Art Associates, and Art Preparators create an experience our clients will remember forever. We cater to a dynamic demographic of clientele from all nationalities, education backgrounds, and ages. Therefore, candidates with equally diverse backgrounds are considered. To start your journey, click here to apply! Your role as an onboard associate is just the beginning. With continued success, advancement to the level of Gallery Director and Art Auctioneer are common. Joining Park West’s Shoreside Management: Advanced ICs may have the opportunity to join other departments, including Fleet Management, Marketing, and Recruiting. Representing Park West’s VIP Auction Team: Qualified ICs may have the opportunity to join a land-based sales team. Other Opportunities: Many ICs go on to pursue a career in business, entrepreneurship, sales, broadcasting, and museum studies. No matter what your career has in store for you, the professional skills you gain while working on cruise ships will elevate your career to new heights. Through our extensive on-the-job training, you’ll receive all the tools you need to be successful. Your success is our ultimate goal. The Recruitment Team is actively seeking candidates who will represent the company, its affiliates, and its artists as Principal Auctioneers, Gallery Directors, Art Associates, and Art Preparators. Recruiters review resumes and submit interview requests to qualified applicants. Two to three Skype interviews are conducted. Successful applicants are prompted to complete an application. Top applicants are invited to attend training in Miami Lakes, Florida or Hong Kong, China (for qualified applicants in Asia). New hires begin their career as either an Art Associate or Art Preparator. 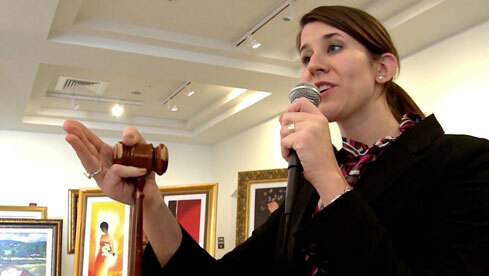 From there, you will receive on-the-job training to ultimately become a Principal Auctioneer. 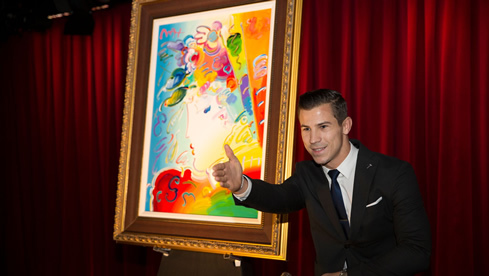 The Principal Auctioneer (PA) is the department head of the art program on each cruise ship. Each Principal Auctioneer is held accountable for his/her art program’s success. As the primary source of onboard auction revenue, Principal Auctioneers promote the art program via direct and platform sales during live art auctions. All events—auctions, exhibitions, and seminars—are planned and carried out under the Principal Auctioneer’s supervision. Principal Auctioneers are chosen based on a demonstration of high performance ratings, consistent sales records, and professionalism. There are additional advancement and management opportunities available to Principal Auctioneers with a proven track record of running a successful onboard art program. Accommodations and meals on board are provided, as well as a stipend for travel to and from ship assignments. Principal Auctioneer’s earnings are determined by an uncapped commission structure with guaranteed base earnings. A six-figure yearly income is common under this model. CSS covers costs under an approved budget designed to properly operate the art program. Auctioneers may, at their own discretion, exceed the budget (typically on high revenue cruises) and may incur expenses. These are typically offset by increased net earnings. The Gallery Director (GD) is “second in command” in the onboard art program and plays a critical role in its success. A Gallery Director’s chief function is to manage the onboard art gallery and to actively enrich the art program by organizing supplemental lectures, gallery exhibitions, and collecting events. Gallery Directors also supervise the daily performance of other team members. Gallery Directors are given feedback daily and are formally evaluated once per month by their Principal Auctioneer. Gallery Directors are expected to practice their auctioneering and oration techniques continually. 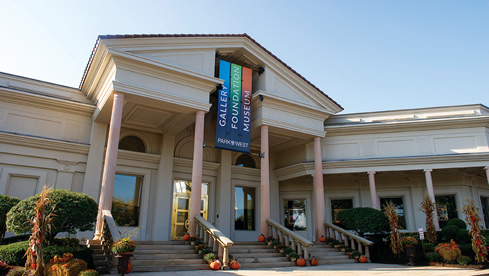 Once a Gallery Director has consistently demonstrated mastery of each of the aforementioned tasks, they will be considered for the Principal Auctioneer job position. Accommodations and meals on board are provided, as well as a stipend to and from ship assignments. Gallery Directors earn a weekly guaranteed base pay in addition to open commissions based on targets achieved. Each Art Associate (AA) works directly with the Gallery Director and Principal Auctioneer in developing, maintaining, and executing the cruise ship art program. An Art Associate’s primary function is to generate sales, market the onboard art program, and arrange gallery and auction displays while maintaining a positive attitude and enthusiastic work ethic. Art Associates are given feedback daily and are formally evaluated once per month by their Principal Auctioneer. Within the Art Associate job position, there are regular promotions in earning potential. Accommodations and meals on board are provided, as well as travel to and from ship assignments. Entry-level Art Associates earn a weekly guaranteed base pay. After the first 30 days on board, Art Associates are able to receive open commissions based on targets achieved. Each Art Preparator (AP) assists with program operations and logistics, and are an integral part of each cruise ship art program. Art Preparators are selected from a variety of multicultural backgrounds. Art Preparators should be coachable, professional, and willing to learn. English proficiency and the ability to lift up to 50 lbs (23 kg) of equipment and supplies are required. Art Preparators have the opportunity to advance to the Art Associate job position when the necessary skills are demonstrated. Art Preparators are given a weekly base salary and branded polo shirts to be worn while on duty.